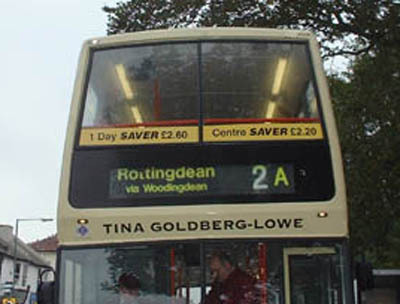 Connections with Brighton and Hove : One of two chances to have your name on the front of a bus auctioned at the Argus Appeal in 2002, raising over £3,000 for charity. 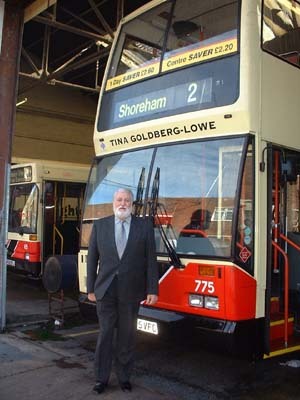 Husband David bid on this to have his wife’s name on a bus as a tribute to her memory. Displayed from October 2002 until September 2003. 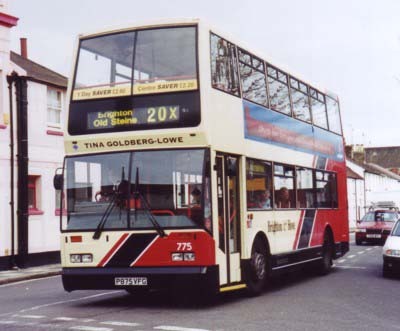 775 Scania Cityzen carried name from October 2002 until September 2003.